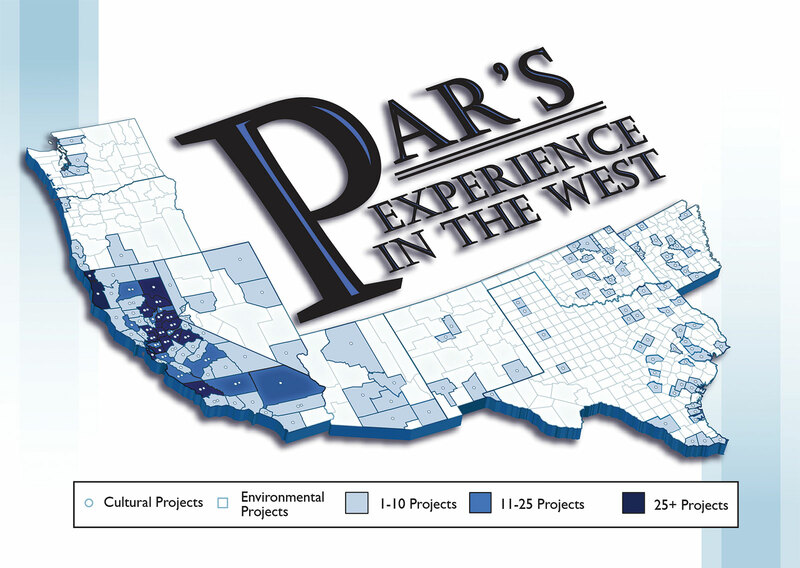 PAR has broad experience in both cultural and environmental work throughout the western United States. Over the past 30 years, we have provided both cultural and environmental services in over 70 counties in California, Nevada, Texas, Oregon, Washington, Arizona and New Mexico. In doing so, we have developed a deep well of research materials, as well as an understanding of issues facing local areas and the numerous agencies that oversee resources within them. PAR's extensive experience also provides knowledge of both general historical developments and comparative resources that help eliminate costs by reducing research time.